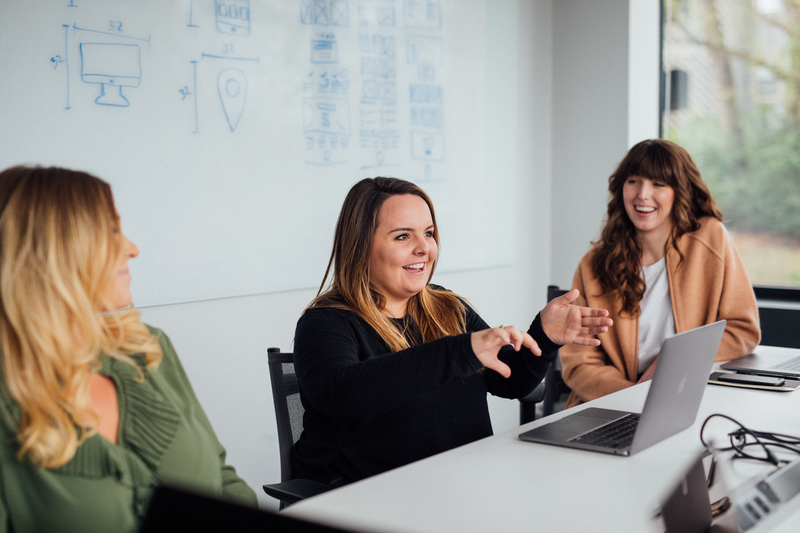 Counsel Creative, a marketing collective based in the Chattanooga area, has expanded its team with the additions of Katherine Bates as designer and Emily Wildenberg as marketing strategist. "We've been fortunate in that when we've been given the opportunity to grow our creative family, we've found those leaders and strategic additions right here in our city,” said Kenny Morgan, founder and CCO of the agency. “We're excited to welcome both Katherine and Emily to our team and look forward to serving our partners in an even greater capacity." An interdisciplinary designer, Ms. Bates will support the agency’s creative initiatives by assisting in the production of branding and overall development of client objectives. "With an extensive and notable background specializing in visual identity, print, web and art direction, her experience in branding, web design and print design is an incredibly valuable resource and addition to the Counsel Creative team," officials said. Ms. Bates received a bachelor’s of fine arts in graphic design from Samford University. As marketing strategist, Ms. Wildenberg will lead the development and implementation of clients’ social media initiatives, assist with creative efforts in the forms of photography and copywriting and will support overall client objectives for the agency. "With a background in public relations, media relations and marketing, her experience in client-focused industries provides beneficial knowledge and assistance for her role at Counsel Creative," officials said. She most recently served as an account coordinator for a public relations firm where she managed and monitored media coverage for clients across all platforms. Ms. Wildenberg received a bachelor’s of science in public relations with a minor in business administration from the University of Tennessee, Knoxville. "Counsel Creative is a hidden gem in the creative space." "Your work will be a lasting tribute to Ruth's life." "Their work on the The Truth Project website was truly spectacular. Unlike a business site, the level of compassion and emotional engagement to capture and organize the ideas and content took a lot of heart. And you guys delivered. Depicting and articulating a person with words and video as you did with Ruth forced you and your team to dig deep into an emotional well that ordinary websites don’t require. My family is deeply indebted to you and your team." "They have truly become part of our family." "I simply can't say enough about our firm's experience with Kenny and Rachel. Aside from their incredible creativity and step-by-step communication throughout the process of building out our website, Kenny and Rachel brought an amazing level of sincerity and professionalism to everything they do. I'm very comfortable in giving them my highest recommendation."